All you need to know about Oslo, its attractions, points of interest, major areas to visit and much more can be found on eventegg's Oslo page. The capital of Norway, Oslo is one of the most charming capitals not only in Scandinavia but also in Europe as a continent. The Nordic culture that surrounds the city is still strong. At the same time Norway has been really successful at keeping some modern traditions that separate it from the neighboring Viking ancestors. There are 600.000 residents in Oslo. When the size of the city is considered, it becomes crystal clear why Oslo is one of the least densely populated capitals in the world. This of course affect the daily lives of the residents: no stress, no traffic jams, no need to rush for anything. Sounds nice, doesn’t it? Of course, when we say Norway, one of the first thing that comes to our mind is the freezing weather. The famous Scandinavian climate is dominant in Norway. However, there comes the good news for the travelers who are packing for Oslo; the city, thanks to its location in Norway, is not going to treat you as a deep freeze. It usually has higher temperatures when compared to the other major cities in the country. What expects you in Oslo? Well, the city will fascinate you not only with the rich historical background but also with the way how it mixes with it with the present. Museums, art galleries, parks, gardens, shopping areas, nicest of restaurants and night clubs will take your mind away for a while. Get ready to be inspired by the way of living and the level of peace that surrounds Oslo. Now you are going to one of the ‘role model’ cities in the world, to which all the other capitals admire to. Rent your bike, wear your most stylish winter clothes, put your everyday stress aside and enjoy Oslo like a local. Oslo is located on the south-east of Norway. How to get to Oslo? Oslo has got 3 airports hosting international and domestic flights. If you are traveling to Oslo from a different country outside Europe, most probably you will be landing on the Oslo Gardermoen Airport which is 47 km east of Oslo. You can check the most suitable transportation option to the airport or to the city center here . The other two airports Torp Airport and Moss Airport Rygge also host many domestic and international flights from nearby European countries. How to get around in Oslo? Oslo has got one of the most improved public transportation systems in Europe. You can go almost anywhere in the city by using metro (t-bane in Norwegian), tram, train or bus. All these are operated by the same company and you can find a lot of information about the tickets as well with a journey planner and schedule on Ruter . If you plan your trip to the city in spring or summer, you can also choose to rent a bike for your daily excursions in Oslo as the city is covered with bike roads. Ruter also provides information about bike rentals. No matter how much time you are planning to spend in Oslo, you will always feel there are much more left to see or try out before your trip back home. 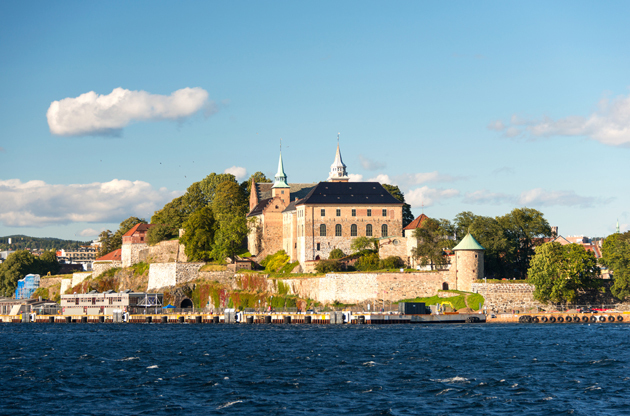 In order to minimize the feeling, here are some must do suggestions on Oslo! Oslo has got a unique style in architecture and you will be impressed to see some example of these. You can start your daily trip with Royal Palace and Opera House as these two are main places you cannot go back without seeing. Oslo Cathedral, City Hall (Rådhuset in Norwegian) and Parliament might as well be in your sightseeing list. In addition, Vigeland Sculpture Park is one of the most influential sights in Oslo. Munch Museum and the National Gallery are in Oslo for the museum lovers. You will come across to Edward Munch’s famous ‘The Scream’ in one of these most probably. Viking Ship Museum, Nobel Peace Centre and Henrik Ibsen Museum are also worth a visit. One good and one bad news for the people who want to shop in Oslo. The good one is, Oslo is a shopper’s heaven. The bad one is, Oslo is extremely expensive. So it may be a bit hard to go back home without a damaged wallet. Karl Johans Street is one of the most famous areas to shop in Oslo. You can find exclusive boutiques and chain stores here. Aker Brygge and Akersgata are also famous not only among the travelers but also the locals. If what you are looking for is not in chain stores or world famous brands, then you can head directly to Bogstadveien. The famous mall Byporten might also be a good idea to find what you need. Aker Brygge is a good address not only for shopping but also for dining. There are many restaurants, serving both Norwegian and other world cuisines. Stortingsgaten is also another good destination to have an enjoyable dinner out. Grünerløkka and Grønland may also be visited to find out some spectacular restaurants. If you are ready to have a couple of drinks and dance a bit, then Grünerløkka, Aker Brygge, Solli/Frogner or Stortinsgata areas are waiting for you. You can find a lot of bars, pubs and clubs there. Expect the alcohol prices to be really high. As being the capital of a country that can also be described as a heaven on earth, Oslo offers a lot of things to do outside the city as well. Coming to Oslo and going back without witnessing the power of nature in such an exquisite way would be a mistake therefore you have to make sure including an excursion to the fjords on your list. Norway in a Nutshell is one another famous excursions in the city. Actually this is a package tour starting from whether Oslo or Bergen and takes your breath away with all the beauty of Norway as whole. Other than these two the city provides a lot of different quick getaways, some by train, some by boat. Oslo, the Norwegian capital, is becoming increasingly popular not only as a travel destination but also as a scene for international large scale events such as congresses, fairs, exhibitions, symposiums, exhibitions, tradeshows and conferences. The competence of Oslo to hold these kind of events is more than enough with the venues and convention centers that are in the world standards. In addition to these, the picturesque beauty of the city promises the one of a kind event travel for the attendees.